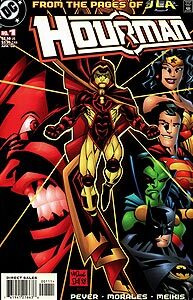 Issue Notes: Booster Gold does not appear in this issue, though a t-shirt featuring Booster Gold does. 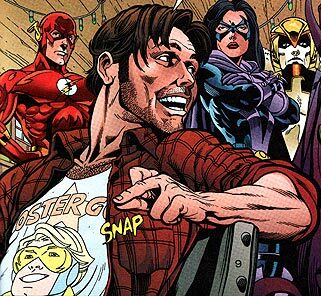 PRODUCT PLACEMENT: Throughout this issue Snapper Carr, former mascot to the Justice League of America, wears a "Booster Gold" t-shirt, which is somewhat ironic as at this point in DC chronology Booster and Snapper have never met. It will be sometime before Booster and Snapper appear on panel together.